Artist in mosaic, mural and stained glass, Mervyn Napier Waller was born on 19th June 1893 at Penshurst, Victoria. An ardent reader and talented illustrator, he studied at the National Gallery School, Melbourne, prior to enlistment in the Australian Imperial Force. He was seriously wounded at Bullecourt in 1917, causing his right arm to be amputated at the shoulder. In convalescence, he learnt to draw and write with his left hand. Recognition came with a very successful exhibition of War Sketches and an illustrated booklet War Pictures on the Somme Front. He married the very talented artist Christian Yandell and collaborated with her on stained glass and mosaics. In 1922 they built a house at Fairy Hills, Ivanhoe where he lived and worked to the end of his life. 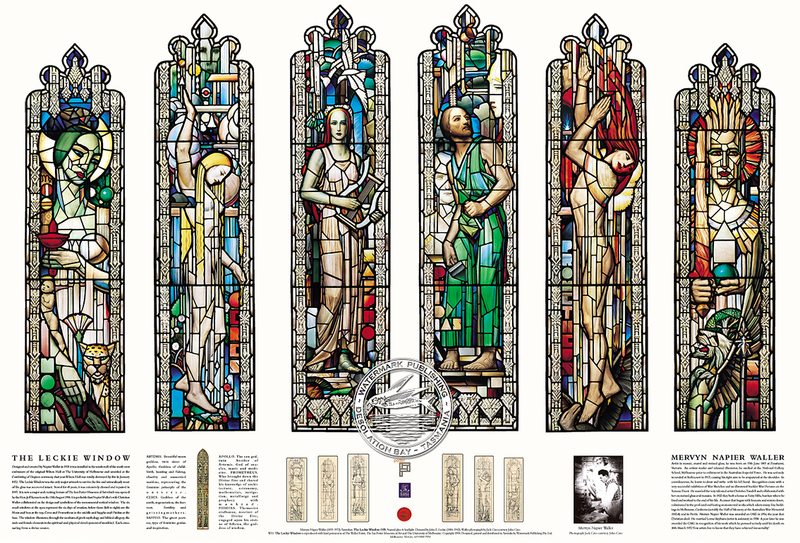 A career that began with linocuts and watercolours, culminated in the profound and lasting monumental works which adorn many fine buildings in Melbourne, Canberra (notably the Hall of Memory at the Australian War Memorial 1952-8) and in Perth. 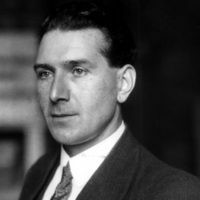 Mervyn Napier Waller was awarded an OBE in 1954, the year that Christian died. He married Lorna Reyburn, artist & his assistant in 1958. A year later he was awarded the CMG in recognition of his work which he pursued actively until his death on 30th March 1972.